Until we are at liberty to tell you more about Watch_Dogs 2, we can share a pretty big series of videos of the game, captured on PS4 and PS4 Pro. Inside, you will find gameplay footage on Sony's original console, as well as some 4K and 1080p videos captured on PS4 Pro. It should allow you to see what the game's strengths and weaknesses when it comes to visuals. No story related spoilers here, as only missions 2 and 3 of the main campaign are shown here. Can you guys add some more description about the PS4 Pro mode? What benefits does it add over the normal PS4? I can't wait to get one in December. Ubisoft wasn't able to tell us precisely. There is a clear resolution boost (just compare the first PS4 video with the first 4k video), but it's hard to say what else has been improved. They may also have implemented HDR, but we haven't had time to try that yet. @ Driftwood how do you guys capture 4K video? its not possible using the share button right? We have a 4K/60fps capture card. You can't record footage over 1080p with the Share button on PS4 Pro. @ Driftwood Thanks the quality is amazing. May I ask what card you are using? 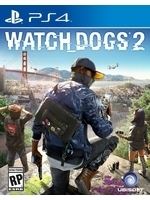 For Watch_Dogs 2 you mean, or in general? There is quite a significant improvement in image quality with Ubisoft's game, but it's pretty much all there is compared to the PS4 version. No HDR has been implemented yet. As for the other games, it really depends. Skyrim looks much sharper but performance is not as good. The same goes for TLOU Remastered, the unfortunate thing being that setting the Pro at 1080p does not make the game run as wxell as on the original PS4. Overall, most games which feature a higher resolution do not have a really steady framerate, but playing Ratchet & Clank and UC4 on Pro is a nice treat. I don't think there is any rush buying the new console though. It'll be interesting to see what developers will be able to do with the 2017 releases. That's probably when we can see if PS4 Pro is definitely worth it. Its all over the place honestly. Some games look better and run better others not. 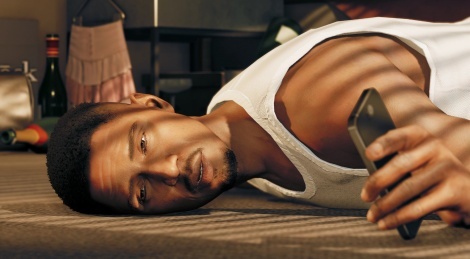 What is unacceptable is that some games that look better run worse than base ps4. That should happen. Overall it seems right now that devs don't put a lot of resources in the pro versions which is somewhat understandable but i hope in 2017 we ll get better pro support. Hi, the game has tearing in ps4Pro 1080 mode? Or its only in the videos? Thanks and good work! If you've seen tearing in the PS4 Pro videos, it's there. Our videos don't ad tearing. Can't say I have really noticed it myself when playing. Thanks, its curious but i see tearing in 1080 mode and in 4k mode if i play the video in 1080@30 doesn't has...sooo curious no? It's odd indeed. I'm preparing FPS analysis videos on Pro (playing with the console set up at 4k and capturing at 1080p so everyone can watch them). The videos will tell us if there is tearing or not.